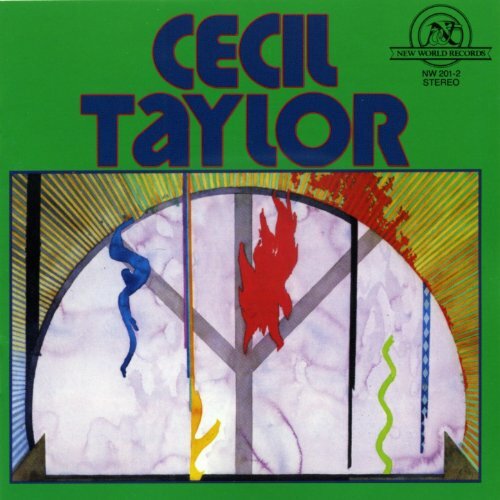 In the 1960s, pianist Cecil Taylor formed and recorded a variety of groups—trios, quartets and expanded ensembles were heard on albums like Nefertiti, The Beautiful One Has Come, Unit Structures, Conquistador! and Student Studies, as well as the early sessions for the Candid label later released as The World of Cecil Taylor, Air, Jumpin’ Punkins, New York City R&B and Cell Walk for Celeste. The blare of horns against the thunder of his piano and various rhythm sections’ lurching, sprinting attempts to keep up was wildly exciting. But in the decade that followed, Taylor seemed less interested in organizing bands than in hitting as hard and at as great a length as possible. The early 1970s found him recording and performing solo much more often than as the leader of a group—Indent, Solo, Silent Tongues and Air Above Mountains (all among his greatest works) are all unaccompanied piano performances, while Akisakila, Spring of Two Blue J’s, and Dark to Themselves each feature bands of varying size (a trio, a quartet and a quintet, respectively). These groups were undoubtedly assembled with care and rigorously rehearsed prior to the gigs documented on the albums, but it seems clear Taylor wasn’t interested in leading an ensemble at that time. In 1978, though, he not only formed a band, he took it into the recording studio (something he hadn’t done since Conquistador!, a dozen years earlier) and on a European tour. The Cecil Taylor Unit of spring and summer 1978 is not only one of the pianist’s most vital ensembles, it’s also unique in its instrumentation, and its development of a collective identity makes it a rarity among his groups. 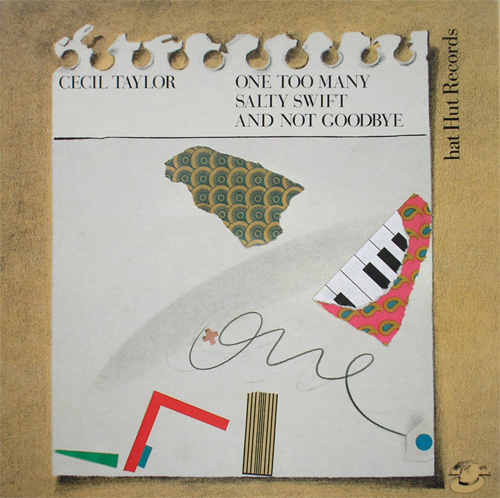 The four releases by this sextet—its self-titled debut; 3 Phasis; and the live albums Live in the Black Forest and One Too Many Salty Swift and Not Goodbye—are among my favorite Cecil Taylor albums, and the subject of this essay. The group consisted of Taylor; alto saxophonist Jimmy Lyons, his creative foil from 1962 to his death in 1986; trumpeter Raphé Malik; violinist Ramsey Ameen; bassist Sirone; and drummer Ronald Shannon Jackson. Malik, originally from Massachusetts, had played with Frank Wright and the Art Ensemble of Chicago in Paris in the late 1960s, during the great free jazz migration from the US to France that gave the BYG label the majority of its catalog. He met Taylor in the early 1970s, and first appeared on 1976’s Dark to Themselves, alongside Lyons, tenor saxophonist David S. Ware and drummer Marc Edwards. Sirone, born Norris Jones, was from Atlanta, and arrived in New York just in time for the first flowering of the free jazz scene; he recorded with many major players within that milieu, including Albert Ayler, Pharoah Sanders and Marion Brown, for sessions on ESP-Disk and Impulse!, and was one of the three co-founders, along with Leroy Jenkins and Jerome Cooper, of the violin-bass-drums trio the Revolutionary Ensemble. Jackson, a transplanted Texan, was another highly regarded player on the New York out-jazz scene; prior to joining Taylor’s group, he had backed Albert Ayler and been the original drummer for Ornette Coleman’s Prime Time—he can be heard on Dancing in Your Head and Body Meta. Ramsey Ameen is the odd man out in the band. He made his recorded debut with the group’s April 1978 studio sessions, which yielded both the self-titled album and 3 Phasis, and seems to have retired from music sometime in the 1980s. And yet his contributions to this group are crucial, serving as a bridge between avant-garde jazz and 20th Century chamber music. Indeed, if you choose to view bridging that distance as the ultimate purpose and greatest success of this band, as I do, then Ameen is the indispensable man, the one without whom the whole project would collapse. This can be heard from the opening notes of the group’s debut recording, the self-titled album The Cecil Taylor Unit, taped in April 1978 and released on New World Records later that year. 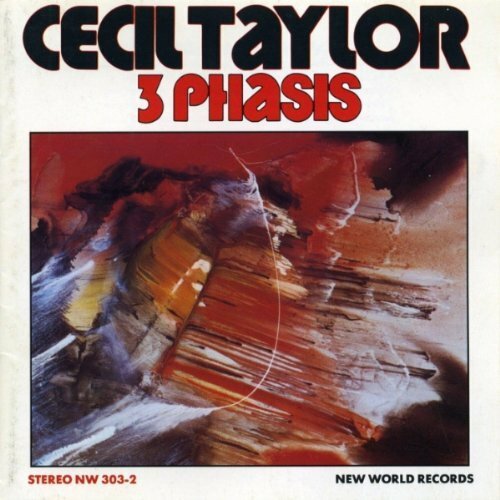 The band was in the studio for four days, from April 3 to 6; in addition to the three pieces heard on The Cecil Taylor Unit they recorded the nearly hour-long piece 3 Phasis, released the following year. The Cecil Taylor Unit (band and album) announces itself with “Idut,” a piece running just under 15 minutes. The first sound we hear is Ameen’s violin, bolstered by Sirone’s bowed bass. The two men attack the strings in sharp and jagged fashion, reminiscent of an Elliott Carter string quartet. After a few seconds, Malik’s trumpet enters, a fountain of rich, full notes like a fanfare announcing a king. Lyons, for his part, offers boppish phrases full of life and joy. This is an erupting music. Behind everything else, Taylor is there, striking the keyboard with great force, rumbling at the low end of a ninety-six key Bösendorfer, similar to the instrument he plays on the solo albums Air Above Mountains and The Willisau Concert, from 1975 and 2000 respectively. This is an imposing instrument, the ideal vehicle for a player of Taylor’s intensity and rigor. But it’s best heard by itself; surrounded by other sounds, its strength is diminished slightly. At the 90-second mark, when all the other instruments drop away, leaving only the piano, the purpose of all that hurtling exposition becomes clear—the band was setting the stage for Taylor, whose high-speed runs and teeth-rattling rumbles are accented by thunderous rolls from Ronald Shannon Jackson. The piece shifts again and again in this manner, offering solo piano passages, duos between Taylor and various other bandmembers, duos and trios, and explosive sections involving the entire band. The album’s second track, “Serdab,” is much quieter. There are still moments of thrilling fire and fury, but Taylor’s solo passages are longer and more frequent, with Jackson pitter-patting behind him, creating rhythm (he’s a totally unique jazz drummer in that he plays marching-band and militaristic rhythms as often as he swings or grooves) without imposing it. It’s an interlude of gentle beauty, a bridge between the opening fanfare and thunder of “Idut” and the cataclysm that is the album’s second half. The second album by this group, 3 Phasis, was recorded on the final day of the sessions, and the issued take is the final one (of six), a performance that ran beyond the scheduled time and into overtime. According to the album notes by jazz critic Gary Giddins, the earlier versions all ran in the 20-30 minute range. The issued performance is a marathon, even an endurance test, at 57:17, but not a moment of that is wasted on vamping, casting about for inspiration, or anything but the most intense playing of which the group members are capable. The piece begins with solo piano, but again the strings are the first instruments to join the fray. Ameen and Sirone come in bowing, with Lyons’ alto saxophone keening romantic ballad melodies, Malik’s trumpet squalling in a less florid, more sardonic way than on the previous album…and Jackson announcing his arrival with tremendous, rolling-thunder assertiveness. The horns keep dropping out, though, and the piece becomes chamber music with drums. Passages of violin and piano, or violin and bass, Ameen jabbing sharply into the airspace between himself and Taylor with shrieks of the bow not unlike Bernard Herrmann’s famous score for Alfred Hitchcock’s movie Psycho. Ameen adds more than classical filigree to this music, though. He’s also prepared to be a hillbilly fiddler when the occasion calls for it, conjuring the spirit of African-American string bands (violin, banjo, upright bass) with a single raucous phrase behind the horns. Giddins was present at the recording, and wrote the liner notes to the album. He describes the recording engineer’s panic as the take that was eventually released runs longer and longer, finally coming to a halt just shy of the one-hour mark (and consequently nudging the limits of 33 1/3 rpm vinyl’s storage capacity). Taylor didn’t typically go on the road with the same bands he recorded with. Throughout his career, studio sessions have been relatively rare; live recordings make up the bulk of his discography. But in 1978, he took this Unit on the road for several weeks of shows in Europe, at least three of which were documented, two of them on albums that are among his greatest work. Live in the Black Forest was the first to appear, on the unjustly obscure MPS label. Featuring two 25-minute pieces recorded on June 3 for broadcast on German radio, it’s a somewhat more “crowd-pleasing” and less abstruse set of music than the Unit’s self-titled debut or the crushing 3 Phasis. The first piece, “The Eel Pot,” begins with solo piano, followed quickly by the entry of Malik and Lyons (playing unison phrases) and then Ameen. Jackson hits huge thunderous tom rolls, and the band has become fully present. Then things can truly get started. Piano and trumpet exchanges, violin and alto saxophone tinkering at the margins. Martial drumming. There’s bass work, but it’s not particularly high in the mix at first; only later does Sirone’s forceful plucking assert itself, when the group becomes, of all things, a piano trio, albeit the most aggressive one I’ve ever heard. Jackson is playing something close to a death metal blast beat, as Taylor dances across the keyboard like a maniac and Sirone throbs between them. The next player to re-enter after this thunderous passage is Ameen, offering almost Bela Bartók-like stabs as though to pay tribute to the concert’s central European location. He and Taylor duet passionately, with Sirone still lingering in the background. Eventually, the full ensemble returns to roaring life, and the piece comes to a raucous close, celebrated by wild applause from what sounds like a large audience. The disc’s second half, “Sperichill On Calling,” is more or less in the same spirit as its predecessor, but it’s less aggressive, a midtempo marathon with occasional eruptions. Around the 11-minute mark, Jackson bursts into a particularly aggressive drum solo, smashing the cymbals and battering the snare, as Malik’s trumpet unleashes a repeated, fanfare-like figure. Malik gets a lot of solo space during “Sperichill,” his rippling upper-register lines extraordinarily full and vibrant. When Taylor takes the lead, his playing is often quite delicate; during one quiet passage, he and Ameen duet totally unaccompanied, and it’s possibly the album’s high point. Again and again throughout this group’s discography, it becomes unmistakable that the violin is the most important instrument, besides the piano, to the whole project. Two decades later, on Algonquin (recorded 1999, released 2004), Taylor would explore this combination of sounds again, in a live duet with violinist Mat Maneri at the Library of Congress. 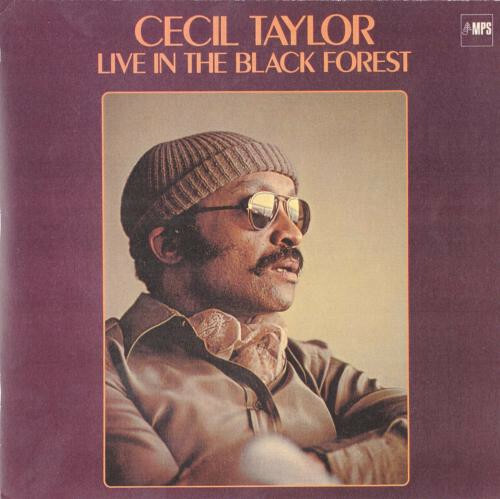 Eleven days after the recording of Live in the Black Forest, the Cecil Taylor Unit made its most expansive and passionate (and final) statement. On June 14, they performed at the Liederhalle/Mozartsaal in Stuttgart, Germany, an event which was recorded for the mammoth One Too Many Salty Swift and Not Goodbye. It was the final night of a six-week tour, and not all venues and not all presenters were as respectful of the musicians as they should have been. On this night, there was a well-tuned grand piano in the hall that was covered and locked up backstage; the people in charge said it was reserved for classical pianists, and provided Taylor with a less ideal instrument. Similar disrespect was afforded Ramsey Ameen, with the result that he played the show in his undershirt as a form of silent protest. Still, it’s an astonishing musical event, running nearly two and a half hours in total and originally broken up into three vinyl LPs, later reorganized into two 70-plus minute CDs. Taylor is not even present onstage for the first twenty minutes of music. He allows the other members of the band to begin without him, in a series of duos and solos, steadily building tension and energy so that when he does finally sit at the keyboard, the resulting explosion will be that much greater. First up are Raphé Malik and Jimmy Lyons, offering a four-minute passage of rippling interplay more conventionally melodic than what they’d play as part of the full Unit, yet still exciting; they sound like yelping puppies, cavorting around the stage. Ameen and Sirone follow them, the violinist building from short, tentative tugs at his strings with the bow to longer, more haunted-house phrases. The bassist, meanwhile, plays with a bow as well, at first, though eventually he moves back to plucking the strings by the end of this over 11-minute passage. The last member of the group to make an individual statement is Jackson, whose solo is as crushing and explosive as anything he’d do eight years later with the jazz-metal improvising quartet Last Exit. If you can manage to stagger away to a safe distance and gain some perspective, it becomes apparent that Taylor’s methodology at this concert was the same as in the studio or on Live in the Black Forest. The group fractures into subsets again and again—trumpet/violin, violin/piano, a piano trio, piano trio plus Lyons, even an extended solo piano section to launch the concert’s final half hour. But the ultimate impression is of standing in the path of an avalanche. Every player involved is hitting so hard, emitting so much raw energy, that to listen to the entire performance in one sitting is the kind of thing that should earn a person a trophy or a plaque. One Too Many is a fitting capper to this band’s short life, because when it finally ends, you can be forgiven for believing you’ve heard all the music your brain will ever be able to store, by Cecil Taylor or anyone else, for the rest of your life. Should you want more, though, there’s one more document of this band out there, and to my mind it’s maybe the most important one of all. On June 10, seven days after Live in the Black Forest and four days before One Too Many, the group performed in the Grosser Sendesaal (main hall) of the Funkhaus in Köln. This performance (an hour of it, at any rate) must have been recorded for German radio, because a pristine tape has been circulating in bootleg form for decades. Naturally, it’s readily available on the Internet. The bootleg recording isn’t ideal. The sound quality is pristine, mind you—every instrument is clear and isolated in the mix, allowing as careful an analysis of each member’s contribution as is possible with the studio recordings. But the music cuts off after an hour, and it’s obvious from what was going on when it ends that there was much more heard that night. Also, the version I have splits the second of the two pieces performed (“Third Part of One” and “Third Worlds Making”) into two chunks, with nearly 10 seconds of silence in the middle. But once you get past those two flaws, the Funkhaus performance is genuinely revelatory, for one huge reason: Cecil Taylor plays the blues. Not for the whole hour, of course. For the majority of the time, the ensemble conducts themselves as they do on each of their other recordings, thundering along together or splitting into factions. But about ten minutes into “Third Part of One,” right in the middle of a powerful burst of Jimmy Garrison-esque strumming from Sirone, Ronald Shannon Jackson begins to smash the hi-hat in a forceful, swinging pattern, and all of a sudden Taylor begins comping like he hasn’t (on record, anyway) since about 1960! Lyons and Malik come in, blowing the blues, and Ameen plucks his strings like a high-pitched guitar, as Sirone walks the whole thing forward and the drums clatter out an even more emphatic beat, one almost recalling Art Blakey. The whole band continues like this for an astonishingly long time, Taylor finally returning to his usual cascades of notes somewhere around the 14-minute mark. But Lyons continues to solo in a lyrical, even somewhat romantic manner, and Sirone and Jackson keep the groove going, until nearly 15 minutes into the piece. And when the drummer does abandon swing, it’s only so that he can take a jackhammering solo of his own. Of all the things this sextet did on record and in concert, this patch of (almost) straight-up hard bop may be the most shocking, and in some ways it puts everything else into an entirely different light. The 1978 Cecil Taylor Unit was about connecting the dots—about joining blues and swing to modern classical and free jazz, about making it all sing as one. Where the studio albums could be bombastic and crisp at the same time, the live albums had a stark beauty born of subdividing the ensemble into its component parts, the better to reveal the power of the whole. This band’s short lifespan kept its music from stagnating; they never had time to develop rote bits of business, or clichés to endlessly re-work. They burned like a white-hot flame, and then they dissipated. Ameen remained with Taylor through 1979; Lyons through his death in 1986. The others went on to long, productive careers—Malik and Sirone are dead now, but Jackson’s still out there, hitting as hard as ever. And of course, Taylor continues to perform, taking listeners on epic journeys every time he sits down at the piano. I’ve seen him perform four times with ensembles of varying sizes, and own dozens of his albums. But for me, this band might be his ultimate achievement.